We’re often confronted with pet owners looking to re-home their Red Eared Slider Turtles. This comes as no surprise as RES are often illegally presented and sold as adorable little hatchlings in cute little plastic lagoons complete with plastic palm trees that almost anyone would have a hard time resisting. But, do resist. These turtles should not be released into local ponds because they are considered an invasive species. A law was passed in 1975 prohibiting the sale of turtles with a carapace (upper shell) length of less than 4 inches. Unfortunately this law continues to be disregarded, especially by our local flea market vendors. Not only are the vendors ignoring the importance of the law, they also don’t have much knowledge to lend to new turtle owners. 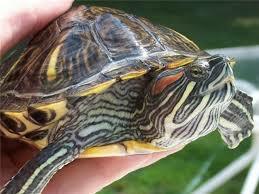 If you do own a Red Eared Slider you should know that their upper shell (carapace) can reach up to 12 inches in length. A turtle of this size requires a very large enclosure and the care doesn’t stop there. Turtles are not like your average domestic cat or dog. If well cared for, these turtles can live more than 40 years. Their care can be quite involved, costly, and requires a lot of continued maintenance. If you don’t have the conditions of your turtle enclosure just right and species specific then you will end up with a sick turtle and that will result in very costly vet bills. Proper heat, lighting, and substrate are required to maintain a healthy turtle habitat. Some RES owners find that the best solution is to release their turtle into a local pond. DON’T! This is the worst thing that you can do. Red Eared Sliders are considered an invasive species in South Carolina. Releasing them in local waters can cause harm not only to your pet turtle, but to the natural habitat and existence of our native turtles. Turtles are greatly affected by habitat loss, many native species are now protected and at risk. Invasive species of any kind being introduced into a new area will wreak havoc among native species. Our season has started early, and the babies are here. Join us for our annual Baby Shower to help us get ready for the hundreds and hundreds of wildlife babies that will come through our doors this spring. In fact, over half of the more than 3,500 animals we’re expecting this year are projected to come to us in the next three to four months. This open house event is a great opportunity to tour The Nest, get up close with some truly amazing animals, and learn more about protecting South Carolina wildlife. And yes, we welcome Baby Gifts! Bring the whole family for some great fun! Come by the Baby Shower for a big dose of cuteness! Check out the complete wish list. As always, cash gifts are cheerfully accepted! If you can’t make it to the event and would like to help ensure we can save these babies, simply make a pledge to our One for Wildlife campaign. Without your help, we may not be able to take in all the animals that come to us this year. If you are planning on coming to the Baby Shower, please RSVP by calling 803.772.3994, or send an email to info@carolinawildlife.org to let us know how many folks you’ll be bringing with you. If you don’t get a chance to respond, no worries. Just come on over for a fun day with the babies! 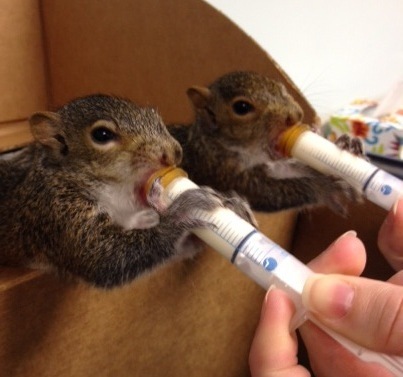 Spring is here, and with it comes the annual conundrum: How can we reconcile decreased donation levels with the need to care for the thousands of animals — many of whom are abandoned babies — that come in our doors this time of year? The challenge is real and immediate. 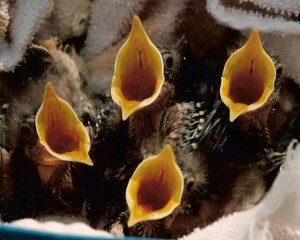 These little guys will be here soon; help us save them. Consider this math: Our average annual intake of animals has TRIPLED in the last 20 years, from 1,200 birds, mammals and reptiles to more than 3,500 in recent years. This is not surprising, given that our expanding human footprint—new neighborhoods, shopping centers, highways and more— continues to crowd their natural habitat. secure the funding to sustain our work. We need to raise $85,000 in the next 30-45 days to ensure we can take in all the animals that come to us this spring. Or we will be forced to turn them away. To meet this need in the months to come and beyond, we’ve officially launched our One for Wildlife campaign. A gift starting at just $1 a week ($52) helps us cover basic operating costs. Additional gifts help us provide the food, medicine and equipment animals need to recover and thrive. Major gifts do that and more, helping us expand our education and outreach work in the community, all of which is essential to wildlife conservation. years ago. We’re at a crossroads in our history, this is the time to make a commitment to move our mission forward. 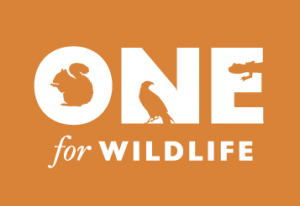 Join me, and stand as One for Wildlife.